Every trendy girl needs a hairstyle that matches the occasion. So when you’re heading to the beach soon, you definitely want to rock a chic hairstyle. Braids, buns and cool ponytails are just a part of the hairdos you can experiment with. Don’t forget to add accessories. Take a look at the styles below to get some extra inspo. 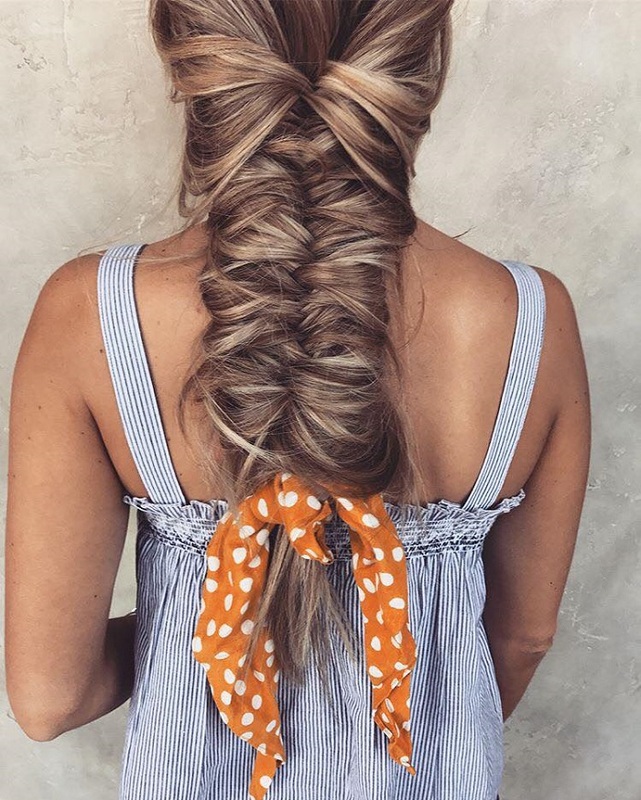 This is the coolest fishtail braid we’ve ever seen. Once you finish braiding, just mess it up to give it some extra volume. You can always add a tie or a bandana to make things more interesting.